Far from your ordinary bottle, this innovative and stylish Wireless Bottle Speaker from Samsung packs heavyweight sound into a lightweight, portable container. 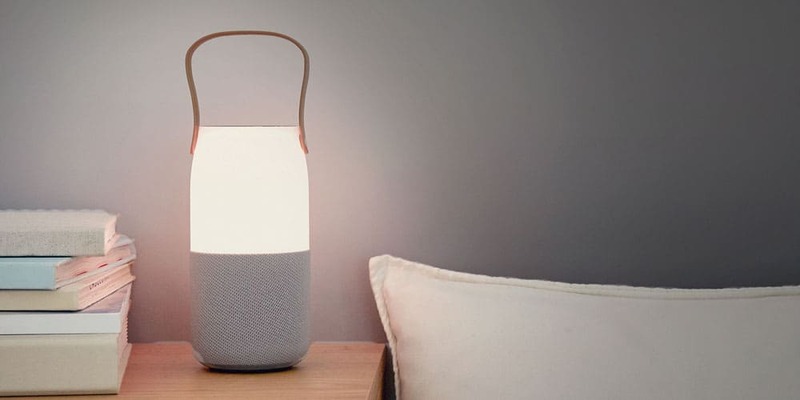 This product packs a vast range of features; unrivalled mobility, hassle-free wireless charging, sensual lighting effects, powerful sound distribution and instant control to name but a few. If you’re looking to combine simplicity and style in a user-friendly product, look no further. 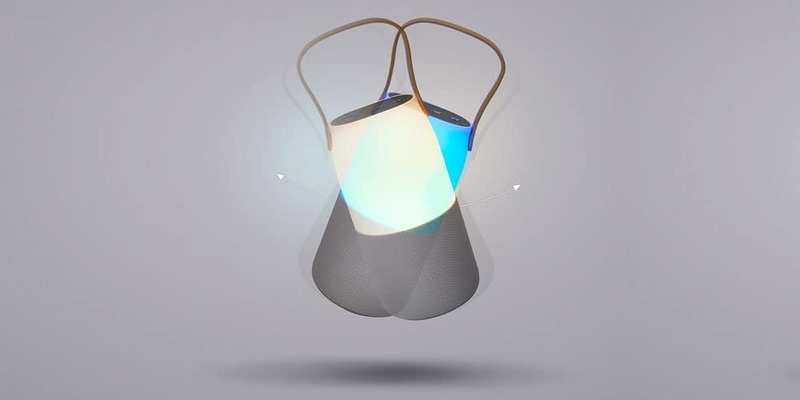 With an innovative light contained within the speaker housing, all you need to do is tilt or shake the light to turn it on or change the colour. 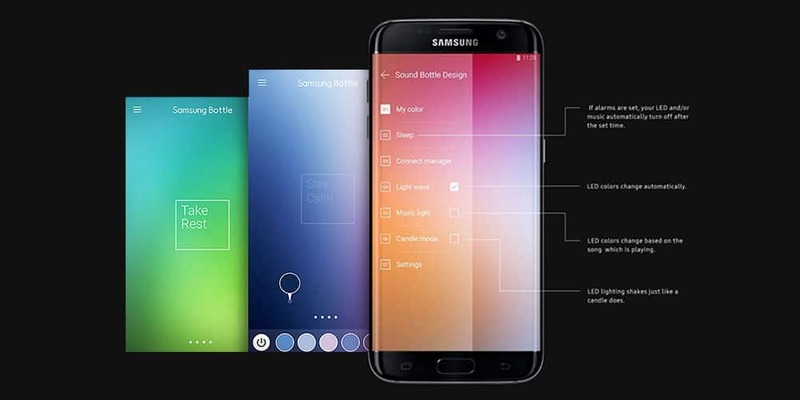 You can even control it from the Lux Manager app on your compatible Samsung mobile device. 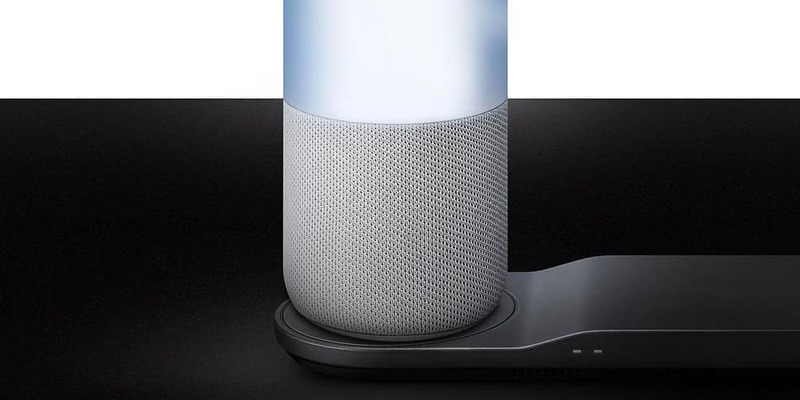 At just $148, the Wireless Speaker Bottle + Dual Wireless Charging Pad from Samsung packs premium features into a budget price, and is one of the most affordable products of its kind on the market today. So let’s get right into it, what does it offer over other brands? Why is it worth your $148? 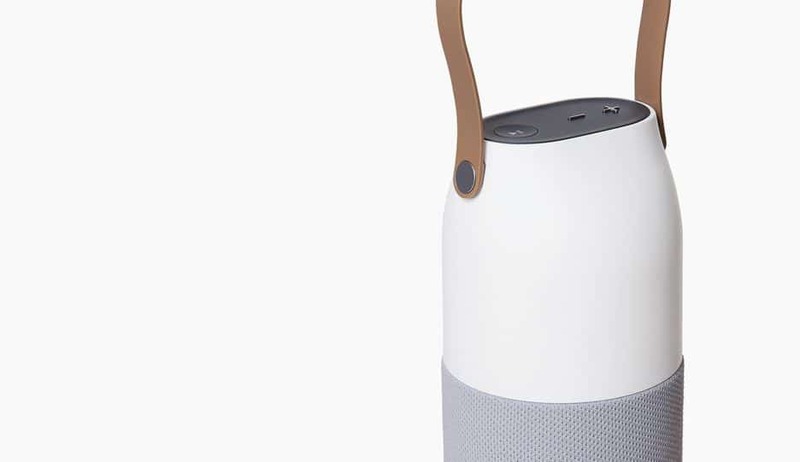 With its unique bottle-shaped design, this speaker from Samsung projects sound at all angles, meaning no matter where you are in relation to the speaker, you won’t miss a single beat. Great for placing in the centre of your picnic circle outside, or on the table at dinner, the circular speaker is ideal for all occasions. There’s nothing worse than fiddling with cables or realising your cable wasn’t quite plugged in and your speaker hasn’t charged. Samsung have addressed this with their hassle-free inductive charging. Just place the speaker down on the charging tray, and hey presto, you’re charging. This wireless charging capability creates the perfect solution to playing while you charge too! 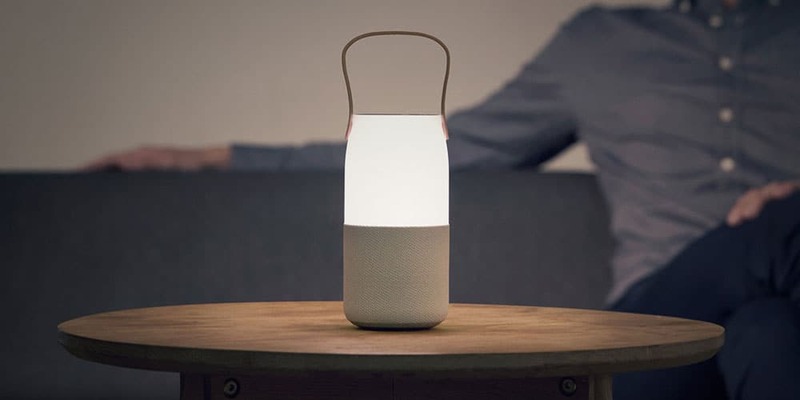 At the top of the bottle speaker, Samsung have built in a fully-customisable LED lamp, with 16 million illuminating colours. This makes the Bottle Speaker perfect for creating a great ambience at candle-lit dinners, creating a party atmosphere or just matching the décor of your home. With access to preset themes or the ability to design your own using the Lux Manager companion app, this speaker can create the right colour to match any situation. Wake up to your favourite songs with the built-in sleep timer function of the speaker. If that wasn’t enough, you can also program the LED lamp to gently emit the specific light that you want to wake up to. What’s more, it’s been proven that certain lights may be more effective at waking you up, so why not take advantage of that? Perhaps the best feature of the bottle speaker comes by nature of its design. It’s portable, and by this we mean really portable. It’s got a built-in handle, supplementing elegance with functionality. 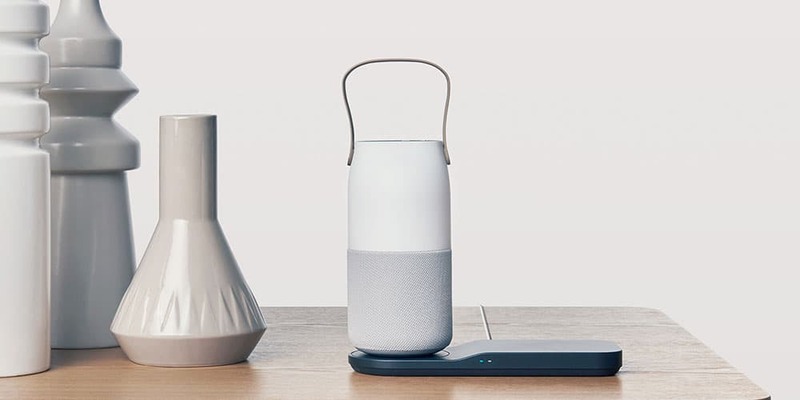 Carry it by hand or place it in your bag for the day, you can deliver high-quality sound and liven up the atmosphere anywhere; home, work, the garden, the beach, you name it, the Bottle Speaker can play there! The wireless charging feature of this speaker sets it apart from the crowd. The wireless charging pad attaches to the wall socket, and then you place your speaker on it to give it power. However, this pad is incredibly small and portable in itself, meaning that it’s no problem at all to slip inside your bag next to your speaker, and power up your speaker at the party, playing while you charge. Instant control enables you to quickly enable the lighting function of the speaker, and change it just as fast. Simply tilt the speaker away from a vertical angle to activate the light, then give it a quick shake to change the colour. 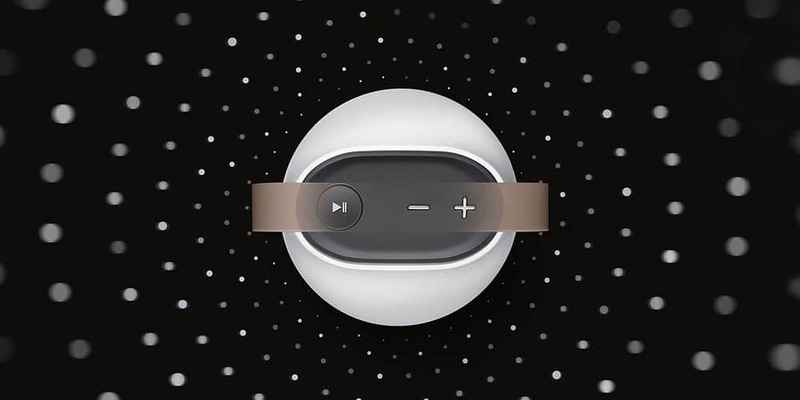 Note that you have to enable motion lighting in the companion app for this to work, but a simple toggle of a switch gives you access to the quickest and easiest way to change the mood and up the atmosphere using your new speaker. The Bottle Speaker comes hand in hand with a free Lux Manager companion app from Samsung for your mobile device. You can use this app to change the colour and the animation of the lighting, as well as gain access to preset LED colour theme options. With the companion app, you’ll be able to find the perfect theme to match your occasion, as well as customise and save your own colours for future use. This revolutionary speaker system from Samsung offers you style, portability, power and convenience all in one compact and lightweight package. Perhaps most importantly, Samsung has packed in multiple features such as wireless charging and the LED light display without compromising the most important aspect of any speaker – the sound. It both looks and sounds the part, and would make a solid addition to anyone’s music collection, from the everyday listener right through to the excessive audiophile. This speaker takes your music and puts it in whatever situation you can dream of. Power up your portability and hit the road, it’s perfect for a party, a holiday, the home or the garden. Wherever you go, the Samsung Bottle Speaker can go too, bringing with it full 360-degree sound and a stunning light show. Be it for day or night, the Samsung Bottle Speaker is truly a multifunctional product that addresses your various needs. Discover it now!